As curator my mission is to champion inclusion within our institutions and communities. As an artist I am deeply concerned with the power of resonance and relationships. These motivations have inspired new works, collaborations many questions and a few techniques. My hope is to curate a series that will engage diverse narratives, challenge, rage, exchange, resolve and heal. I will collect artifacts from each concert and publish them as a compilation of creative methodologies. 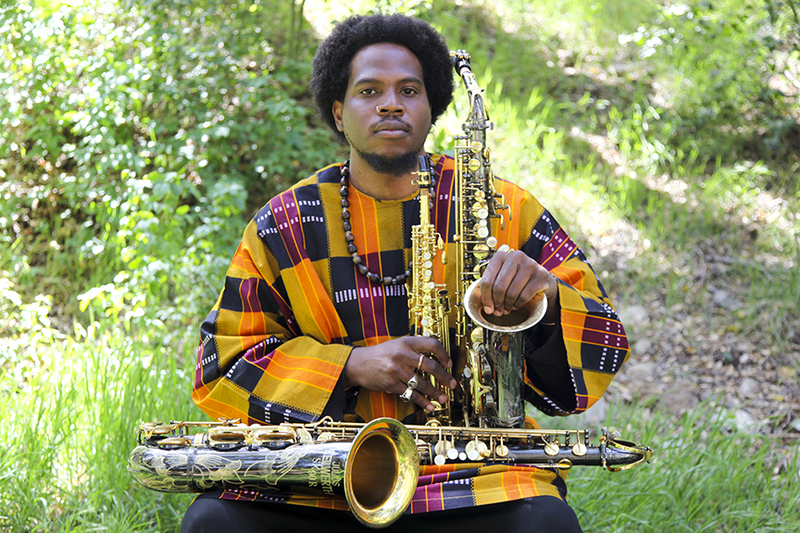 For my premiere concert as curator I am presenting Baltimore based composer, multi-instrumentalist and educator Jamal R. Moore with special guests. Jamal R. Moore’s background includes California Institute of The Arts (M.F.A. 2012), Berklee College of Music (B.M 2005), Eubie Blake Jazz Orchestra (2000) under the direction of Christopher Calloway Brooks and historical acclaimed Frederick Douglass Sr. High whom notable alumni Thurgood Marshall, Cab Calloway, and Ethel Ennis graduated from. He is a long-­term member of KREation and Conference of The Birds ensembles directed by Kevin Robinson. A member of The Pan African Peoples Arkestra of the late Horace Tapscott, Calvin Gant ensemble directed by Calvin Gant and Nicole Mitchell; and Joyful Noise Band under the direction of Luke Stewart.